Albert State School is a heritage-listed state school with war memorial at 210-220 Albert Street, Maryborough, Fraser Coast Region, Queensland, Australia. It was designed by Robert Ferguson and built in 1883 by George William and Edwin Negus. It was added to the Queensland Heritage Register on 28 November 2014. Albert State School in Maryborough opened in 1883 in a substantial new building designed by architect, Robert Ferguson, in a period when the town was undergoing major expansion and during the establishment of important institutions. As Maryborough grew, the school expanded to include other structures and landscape elements. The school has been in continuous operation since establishment and has long been a focus for the local community as a place for important social and cultural activity. On the traditional land of the Badtjala (Butchulla) people, the small town of Maryborough grew quickly from its establishment in 1847. After relocating downstream from its original position between 1852 and 1856, Maryborough was proclaimed a Port of Entry in 1859 and a municipality in 1861. Early exports from the port included wool, timber, tallow, sugar, and coal. Maryborough became the port for Gympie after gold was discovered there in 1867. The 1880s were a prosperous time for the colony of Queensland generally. The population of Maryborough and district grew dramatically between 1876 and 1881, and this continued into the late 1880s. Maryborough's dominance as a regional centre was strengthened when the North Coast railway line connecting Gympie to Maryborough's port was completed in 1881. The years 1870 to 1890 were extremely profitable for Maryborough and new commercial establishments, industries and financial and other institutions were established in the town. Although the first government school (Maryborough Central State School) opened in the town in 1862, Maryborough experienced a dramatic growth in schools beginning in 1875, with nine schools opening in 16 years. Granville State School and Tinana State School opened in 1875, the Sisters of Mercy Convent School in 1880, Maryborough Grammar School in 1881, St Helens State School in 1882, Albert State School in 1883, Maryborough West State School in 1886, a Christian Brothers School in 1888, and Sunbury State School in 1891. The provision of state-administered education was important to the colonial governments of Australia. National schools were established in 1848 in New South Wales and continued in Queensland following the colony's creation in 1859. After the introduction of the Education Act 1860, Queensland's public schools grew from four in 1860 to 230 by 1875. The State Education Act 1875 provided for free, compulsory and secular primary education and the establishment of the Department of Public Instruction. This further standardised the provision of education, and despite difficulties, achieved the remarkable feat of bringing basic literacy to most Queensland children by 1900. The establishment of schools was considered an essential step in the development of early communities and integral to their success. Locals often donated land and labour for a school's construction and the school community contributed to maintenance and development. Schools became a community focus, a symbol of progress, and a source of pride, with enduring connections formed with past pupils, parents, and teachers. The inclusion of war memorials and community halls reinforced these connections and provided a venue for a wide range of community events in schools across Queensland. Planning for Albert State School occurred during 1881 beginning with choosing a 2 acres (0.81 ha) in January. Fundraising began in March and tenders were called in August for construction of a 'spacious and well-designed school house, and a master's residence'. This was won by local contractor, Messrs George William and Edwin Negus. The final construction cost was £2500. Many significant buildings were constructed in Maryborough in the late 1870s and 1880s, reflecting the prosperity of the times, including Maryborough Court House (1877), the Bank of New South Wales (1877), St Paul's Church of England (1879), Maryborough railway station (1880), Maryborough Grammar School buildings (boys' in 1881 and girls' in 1883), the Criterion Hotel (1883), Maryborough Mortuary Chapel (1884), Maryborough Hospital (1888), and the Maryborough School of Arts (1888) - as well as fine, architect-designed suburban villas for wealthy residents. The substantial building for Albert State School was constructed in the midst of this boom. Albert State School was built to a standard plan supplied by the Queensland Government. The government developed standard plans for its school buildings to help ensure consistency and economy. From the 1860s until the 1960s, Queensland school buildings were predominantly timber-framed, an easy and cost-effective approach that also enabled the government to provide facilities in remote areas. Standard designs were continually refined in response to changing needs and educational philosophy and Queensland school buildings were particularly innovative in climate control, lighting, and ventilation. Standardisation produced distinctly similar schools across Queensland with complexes of typical components. The teaching building for Albert State School was built facing northeast to Albert Street and was a standard design by architect, Robert Ferguson. Ferguson was appointed in 1879 by the Department of Public Instruction as its first Superintendent of Buildings. Ferguson immediately revised the design of schools to address deficiencies in ventilation and lighting and this period of school design was pivotal in this regard. Ferguson introduced tall and decorative ventilation spires to the roof and louvred panels to the gable apex to vent the classrooms. Additional and larger windows were incorporated with high sill heights that did not allow draughts and sunlight to enter the room. The overall form was lowset on brick piers and in larger schools multiple classrooms were arranged symmetrically around a parade ground. The designs remained single-skin to eliminate "receptacles for germs and vermin" but were lined externally rather than internally to address the previous weathering problem. Notably, Ferguson's buildings were decoratively-treated with a variety of elaborate timber work and were heralded by educationalists as "far superior in design, material and workmanship to any we have before built". In 1885 Robert Ferguson was replaced by his brother John Ferguson who continued to implement his brother's designs until his death in 1893, when responsibility for school buildings passed back to the Department of Public Works. The Ferguson period (1879-1893) is distinct and marked by extensive redesign of school buildings including associated structures and furniture. The Ferguson brothers' designs were reflective of educational requirements of the time, responsive to criticism of previous designs, revolutionary in terms of internal environmental quality, technically innovative, popular and successful and provided a long-lasting legacy of good school design. The teaching building at Albert State School was typical of Ferguson's designs. It was a large, lowset timber-framed building with a multi-gabled roof and prominent ventilation roof spire. It accommodated students in three large classrooms with verandahs on all sides. The building was attractively decorated with Carpenter Gothic timber work. The central wing accommodated rooms for hats, cloaks and lavatories at either end, and was separated by passageways from the classrooms in each side wing. The school opened on 9 July 1883 with 220 children and 80 visitors present. Although the building was designed to accommodate up to 250 students, by September there was an average attendance of 320 students, and by the end of the school year attendance reached 450. The unusually rapid increase of students was remarkable, demanding more classroom space urgently. Extensions to the building, also by Robert Ferguson, were designed in late 1884. A large classroom was added to the rear of each side wing, and two hat and cloak rooms were added to both the northwest and southeast outer verandahs. In form and detail, the new work was identical to the existing. Construction began immediately and was completed in 1885 by contractor John Jones. A newspaper reported that year that Albert State School was "said to be the second best in the colony". In 1891 the average daily attendance was 611, making it the largest coeducational school in Queensland. A newspaper report of 1896 said it was the largest and best equipped school in Maryborough, the district, and (in some respects) Queensland. It emphasised the high academic achievement of its graduates and its superior and extensive educational equipment, the excellent sanitary facilities, and the beautiful grounds with camphor laurel and fig trees. The grounds of Albert State School were extensively planted and accommodated large open play areas, typical of Queensland schools. The provision of outdoor play space was a result of an early and continued commitment to play-based education and schools were built on spacious grounds to facilitate this. The grounds were planted with trees and gardens for beautification and shade, critical in Queensland. A 1915 report of Albert State School stated that the trees were tended with "solicitous care" and the school grounds were densely shaded, with classes held under the trees, benefitting the health of the pupils. The school was described as one of the "beauty spots" of the town and the Education Department should "justly be proud of its educative work in this direction". A war memorial was built at the front of Albert State School and was unveiled by the Mayor of Maryborough, George Holbut, on 14 December 1917. It was a tall sandstone obelisk to commemorate past pupils killed during World War I, which was still ongoing at that time, and was built from donations by relatives and friends of the dead servicemen. It had 25 names on two of its four marble panels - another 18 names would later be added as the war continued. Over time, the obelisk became the site for remembrance ceremonies for the school and local community. Over time, the Ferguson teaching building at Albert State School was altered to meet contemporary educational demands, particularly for improved lighting and ventilation. The Department of Public Works greatly improved the natural ventilation and lighting of classroom interiors, experimenting with different combinations of roof ventilators, ceiling and wall vents, larger windows, dormer windows and ducting. Achieving an ideal or even adequate level of natural light in classrooms, without glare, was of critical importance to educationalists and consequently it became central to the design and layout of all school buildings. Existing lowset buildings were raised for increased ventilation with the added benefit of providing a covered play space in the understorey. In 1926 the Ferguson teaching building at Albert State School was raised on tall brick piers and the ground underneath was concreted to create a large, understorey play space. Another standard alteration was to the fenestration and classroom size of existing buildings. At schools across the state, windows were enlarged and sills lowered to let in more light generally. Smaller classrooms provided a greater amount of natural light so large classrooms were subdivided. Interiors became lighter and airier and met with immediate approval from educationalists. During the 1920s and 1930s alterations were made to the vast majority of older school buildings to upgrade their lighting and ventilation. Although these changes occurred at Albert State School, it was to a lesser extent than most schools, with the Ferguson teaching building retaining most of its high-level windows. However, the existing windows in the gable walls facing the street were enlarged using banks of casements to brighten and better ventilate the rooms. In addition, all but one of the classrooms were divided with new partitions to create smaller rooms. In 1930 a marble tablet was unveiled by Director of Education, BJ McKenna in front of a very large gathering at the school. The tablet was prominently mounted centrally at the front of the Ferguson teaching building and was a memorial to the late George James, head teacher of the school for 24 years. In 1932 a new highset teaching building was constructed at Albert State School to a standard design by the Department of Public Works. Accommodating infants, this building was attached to the rear of the eastern wing of the Ferguson building and was extended and altered over time. The accommodation at the school remained relatively static between 1932 and the 1980s; however, the grounds were expanded to provide more room for recreation. An additional 0.5 acres (0.20 ha) of land was obtained on the southeast side of the school between 1951 and 1961, while land across Zante Street to the northwest was acquired from 1960. Land was also obtained c. 1977 on the other side of Albert Street from the school, for a pre-school building, and later sold. Over time, some alteration of the Ferguson teaching building occurred, however, as this work was minor, the bulk of the building remained largely unchanged. To modernise and brighten the classrooms, in 1954 the interior walls were lined with sheet material and a flat ceiling was installed concealing the roof trusses. Between 1973 and 1977 the hat and cloak rooms on the verandahs were extended, providing small rooms for storage and staff. The large classroom in the centre wing was altered to accommodate administration in 1978 and in 1981 part of a verandah was enclosed for a staff room. In 1988 a further part of a verandah was enclosed and more partitions were inserted. At some time, the roof fleches were removed. Between the 1960s and 1980s Queensland education was reformed. The Education Act 1964 was a turning point and the first major update of Queensland education's governing legislation since 1875. Effectively, a new era of state education began and required new architectural responses. The Department of Education (as it had been renamed in 1957) continued to give the responsibility of school design to the architects of the Department of Public Works. New materials, technologies, educational philosophies, government policies, architectural styles, and functional requirements influenced the evolution of standard designs and the predominance of highset, timber-framed buildings decreased. After a long period of relative inactivity, changes began to occur at Albert State School that reflected the push to modernise. The original teacher's residence, on the corner of Albert and Zante streets, was removed c. 1979-1988. In 1985 a tuckshop and toilet block was built behind the main building; a janitor's and sports equipment store was added to the northwest in 1986, and in 1987 a new two-storey teaching building was constructed on the site of the original tennis courts, later extended in 1989 and 1992. Shade structures were added in the 1990s and in 2010 two new buildings were added to the school grounds - a multipurpose hall and a teaching building. Through a gradual acquisition of land across Zante Street (including a closed section of the road itself), the school grounds totalled 2.9 hectares (7.2 acres) by 2014. In 2014, the school continues to operate from the site and the Ferguson teaching building remains highly intact. The school is important to the city having operated since 1883 and having taught generations of Maryborough students. Since establishment it has been a key social focus for the Maryborough community with the grounds and buildings having been the location of many social events over time. Albert State School comprises a substantial teaching building and war memorial standing on spacious grounds with mature trees on a corner site in Maryborough. The school is in a low-density residential neighbourhood near the main centre of town and is prominent within its context. Facing northeast and overlooking the main entrance on Albert Street is a large, symmetrical building (Ferguson teaching building) set back from the front boundary behind an expansive lawn, garden beds and mature trees. A formally-arranged memorial garden is situated at the entrance comprising timber flagstaff, concrete paths and low hedges in symmetrically arranged brick garden beds. Within the garden, a sandstone obelisk bears four leaded marble tablets listing 43 past pupils who died in World War I. Behind the memorial, mounted to the front of the school building, is a marble tablet memorial to George James, a past head teacher of the school. The Ferguson teaching building is highly intact. It is a large, timber-framed building clad in chamferboards and highset on steel posts with perimeter brick walls and square brick piers around an open understorey play area with concrete floor and small, brick store rooms. The bricks are visibly of two different ages indicating the original lowset form of the building. Each of the three wings of the U-shaped building, formed around a parade ground, has wide verandahs running lengthways on both sides with attached teachers' rooms. The prominent corrugated metal-clad roof has multiple, intersecting and projecting gables. Its gable ends feature a variety of elaborate timberwork, including: moulded barge boards; scrolled, paired eaves brackets; fretwork; mouldings; stop-chamfering; lattice; finials; and pendants. Metal louvres in the apex of the gables vent the roof space. The building retains hood mouldings and windows that rarely survive at other, similar schools and are distinguishing features. The gable ends of the side wings retain sheet-metal hood mouldings, over banks of timber-framed casement windows with fanlights and sunhoods, which indicate the location and size of the original narrow windows. In other locations above high level sills are original tall, narrow windows with vertically centre-pivoting sashes and later casement windows. Accessed by timber stairs, the verandahs feature a variety of high-quality, decorative treatments, including diagonally-laid timber board ceilings, brackets, stop chamfered posts with mouldings, and an elaborate, cross-braced balustrade. The verandahs also retain original tall, high-level windows into the classrooms, as well as banks of later timber-framed, double hung sashes with fanlights. Mounted on the front verandah wall facing the street are large, timber honour boards that list high-achieving pupils and more of these boards are in storage on site. The building retains rows of metal hat hooks as well as an early sink. Original timber French doors with tall fanlights provide access into the interior. Internally, the original large classrooms are divided by more recent light-weight partitions into smaller rooms; however, the northwest wing retains one classroom of original size. The interior walls of the classrooms and teacher's rooms are lined with more recent sheet material and a suspended ceiling has been installed throughout. The partitions and linings are reversible. Short lengths of the verandahs have been enclosed and the verandah wall removed to incorporate this space into the classroom. The building retains original doors including large, braced board doors and panelled doors with bolection moulding and original door and window hardware. An early school bell is mounted to a timber post near the verandah of the northwest wing and the school retains a collection of early school-related paraphernalia including desks, cabinets, chairs, administration books, a bell, photographs, trophies, shields, sewing, an ink well, cane, and piano with stool. Other structures within the heritage boundary are not considered to be of cultural heritage significance. Albert State School was listed on the Queensland Heritage Register on 28 November 2014 having satisfied the following criteria. Albert State School (established in 1883) is important in demonstrating the evolution of state education and its associated architecture in Queensland. The place retains an excellent, representative example of a standard government-designed school building that was an architectural response to prevailing government educational philosophies. Constructed during a major boom period, Albert State School is also important in demonstrating the expansion of Maryborough in the 1870s and 1880s. Maryborough was a prominent and prosperous centre in colonial Queensland, which is reflected by the high-quality and size of the Ferguson teaching building. Albert State School is important in demonstrating the principal characteristics of early Queensland state schools with their later modifications. These include: generous, landscaped sites with mature shade trees and assembly/play areas; and highset timber-framed teaching buildings of standard designs that incorporate understorey play areas, verandahs, and classrooms with high levels of natural light and ventilation. The substantial, timber-framed teaching building designed by architect, Robert Ferguson is highly-intact, which is rare, and is important in demonstrating the principal characteristics of this type. It retains: a symmetrical, U-shaped plan form of large classrooms surrounded by generous verandahs with projecting teacher's rooms; high-quality timber decorative detailing; and effective natural lighting and ventilation features. Albert State School is important for its aesthetic significance and generates a strong sense of place. The school is a landmark with the substantial Ferguson teaching building prominently sited in generous, landscaped grounds with large shade trees. The war memorial at the front entrance of the school, comprising a large sandstone obelisk, paths, garden beds and a tall flagstaff, has symbolic meaning and remains the focal point for annual remembrance ceremonies. Highly-intact, the Ferguson teaching building has considerable architectural value as a building of high-quality materials and construction with well-composed symmetrical elevations and layout, and decorative, finely-crafted timber work. Queensland schools have always played an important part in Queensland communities. They typically retain a significant and enduring connection with former pupils, parents, and teachers; provide a venue for social interaction and volunteer work; and are a source of pride, symbolising local progress and aspirations. Albert State School has a strong and ongoing association with the Maryborough community. It was established in 1883 through the fundraising efforts of the local community and has educated generations of Maryborough children. The place is important for its contribution to the educational development of Maryborough and is a prominent community focal point and gathering place for social and commemorative events with widespread community support. ^ a b c d e f g h i j k l m n o p q r s t u v w x y z aa ab ac ad ae af ag ah ai aj ak al am an ao "Albert State School (entry 601525)". Queensland Heritage Register. Queensland Heritage Council. Retrieved 16 December 2017. ^ Matthews Tony, River of Dreams: A History of Maryborough and District, Maryborough: Maryborough City Council, 1995, pp.17-18. ^ Matthews, River of Dreams, pp.155, 158. ^ Riddell Architecture, Maryborough Heritage Centre: (former Bank of NSW) - Conservation Management Plan, for Fraser Coast Regional Council, 2009, p.3. ^ Blake, Thom, Queensland Historical Thematic Framework, Chapter 9: Educating Queenslanders, 2007 (rev.2013 by EHP), p.2. ^ Logan, Greg and Eddie Clarke, State Education in Queensland: a brief history, a report for the Department of Education, Queensland, 1984, p.2. ^ Project Services, 'Mount Morgan State High School' in Queensland Schools Heritage Study Part II Report, for Education Queensland, 2008, pp.4-5; Burmester, Paul, Margaret Pullar, Michael Kennedy Queensland Schools A Heritage Conservation Study, a report for the Department of Education, 1996, pp.87-88. ^ Eight allotments surrendered to the Crown, see annotations on survey plan no. 3913, Department of Natural Resources and Mines (DNRM); Maryborough Chronicle, Wide Bay and Burnett Advertiser, 8 January 1881, p.2; 'The Albert Street State School', Maryborough Chronicle, Wide Bay and Burnett Advertiser, 10 July 1883, p.3; Maryborough Chronicle, Wide Bay and Burnett Advertiser, 17 March 1881, p.3; Queensland Government Gazette, 1881, Vol.29, p.363; 'Local news', Maryborough Chronicle, Wide Bay and Burnett Advertiser, 5 November 1881, p.2. ^ 'The Albert Street State School', Maryborough Chronicle, Wide Bay and Burnett Advertiser, 10 July 1883, p.3; 'Roundabout', Queensland Figaro, 21 July 1883, p.13. ^ Burmester, Queensland Schools A Heritage Conservation Study, pp.84, 120-121. ^ Burmester, Queensland Schools A Heritage Conservation Study, p.11. ^ Burmester, Queensland Schools A Heritage Conservation Study, p.12. ^ Burmester, Queensland Schools A Heritage Conservation Study, p.13. ^ Department of Public Works, Plan of Albert State School, Maryborough, 1881, held in John Oxley Library, Item ID:588746 (SH-31). ^ "THE ALBERT-STREET STATE SCHOOL". Maryborough Chronicle, Wide Bay And Burnett Advertiser (3, 117). Queensland, Australia. 10 July 1883. p. 3. Retrieved 16 December 2017 – via National Library of Australia. ^ 'The Albert Street State School', Maryborough Chronicle, Wide Bay and Burnett Advertiser, 10 July 1883, p.3; 'Country News', The Queenslander, 15 September 1883, pp.6-7; 'Maryborough', The Brisbane Courier, 7 December 1883, p.3. ^ 'Maryborough', The Brisbane Courier, 19 February 1884, p.6. ^ Department of Public Works, Plan, Additions - Albert State School, Maryborough. 17 December 1884, Item ID: P2515. ^ 'Maryborough', The Brisbane Courier, 6 January 1885, p.6. ^ Project Services, 'Albert State School', p.7. ^ 'The Albert State School', Maryborough Chronicle, Wide Bay and Burnett Advertiser, 4 December 1896, p.2; The Queenslander, 2 July 1892, p.27. ^ Burmester, Queensland Schools A Heritage Conservation Study, pp.44-45. ^ 'School Arboriculture', The Brisbane Courier, 26 June 1915, p.12. ^ "Maryborough Albert State School War Memorial". Queensland War Memorial Register. 4 March 2009. Archived from the original on 16 December 2017. Retrieved 16 December 2017. ^ "ALBERT STATE SCHOOL". Maryborough Chronicle, Wide Bay And Burnett Advertiser (13, 908). Queensland, Australia. 15 December 1917. p. 8. Retrieved 16 December 2017 – via National Library of Australia. ^ 'Albert State School; Impressive memorial ceremony', Maryborough Chronicle, Wide Bay and Burnett Advertiser, 15 December 1917, p.8. ^ 'Maryborough', The Brisbane Courier, 29 January 1926, p.10. ^ "NEWS OF THE WEEK from ALL OVER QUEENSLAND". The Queenslander. Queensland, Australia. 17 July 1930. p. 23. Retrieved 16 December 2017 – via National Library of Australia. ^ Maryborough Chronicle, 4 August 1950, p.5. ^ Survey plans no. M20205, M20242, and annotations on M140953, DNRM. ^ See annotations on survey plan no. M140953, DNRM. ^ Project Services, 'Albert State School', p.10. ^ Burmester, Queensland Schools A Heritage Conservation Study, pp.78-80; 'Design standards for DETE facilities' at < "Archived copy" (PDF). Archived (PDF) from the original on 11 April 2014. Retrieved 16 December 2017. CS1 maint: Archived copy as title (link)> accessed 11 September 2014. 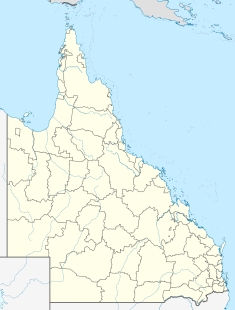 This Wikipedia article was originally based on Albert State School, an entry in the Queensland Heritage Register published by the State of Queensland under CC-BY 4.0 AU licence, accessed on 16 December 2017. Wikimedia Commons has media related to Albert State School.